* Pure Blue Squirrel Hair. * This brush is shaped like a Fast-Lite Striper. * Available in sizes #0 & #00. * Both sizes have a hair length out of 2 1/4". 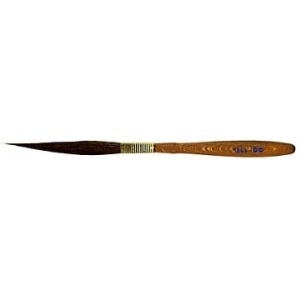 * This striper can be used with either lettering enamel or urethane paint. * Rick says, "They are great for long thin lines!"